Exclusive 2018 Pricing for Credit Union Members. Improve operational reliability and stability by using the new line of Canon check transport scanners. The improved line of scanners offers, high-speed, accuracy, and reliability at an affordable price all while improving the efficiency of your front line. Contact us for deals on volume pricing. Request a personalized quote by calling us at (800) 215-1743 x93 or by filling out the form below. Organization and bulk discounts available. Mention this page for a special offer. In a hurry, don’t want to wait? Use the coupon code “CSLP” on check scanners at Shop.TierFive for an exclusive discount. The CR-150/120 doesn’t get between you and your customers. It’s equipped with a dedicated card-reading slot and magnetic card reading functionality*, so you can process a variety of deposit and payment-related documents, such as checks, stubs, receipts, bank cards, and ID cards. No longer will customers be concerned when you disappear into the back office to process documents. Plus, counter staff can save time by not having to walk back and forth. As a result, you can complete your tasks up front while engaging with your customers. * Requires the optional Magnetic Swipe Reader Unit. 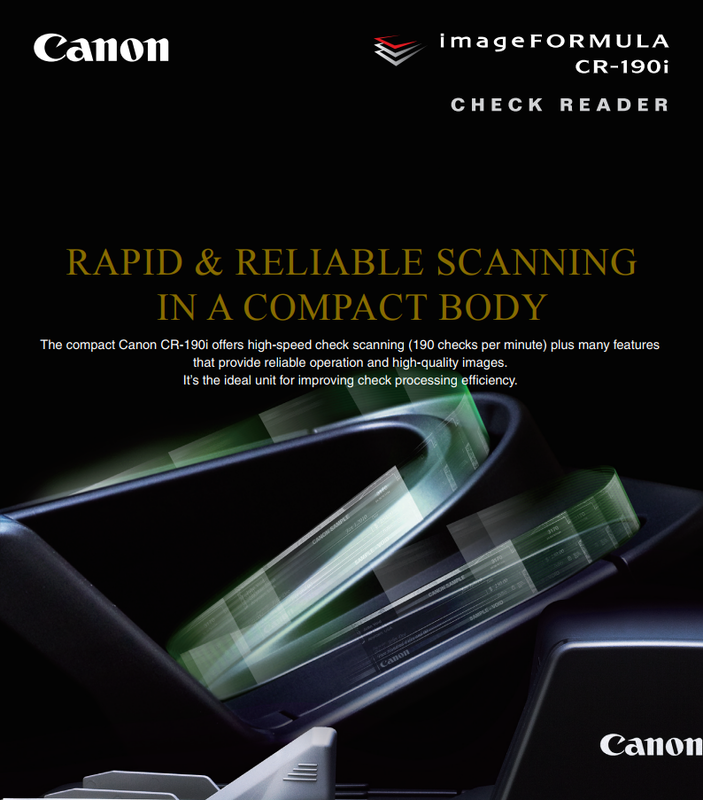 The CR-190i uses Fine Text Filtering to achieve clean text scans. The advanced image processing technology significantly reduces unwanted noise resulting from background colors and images on the checks, allowing the sharp reproduction of important character data, whether it is printed or handwritten. Ranger Transport API is a software tool that allows you to use virtually any item processing software with your Canon Check Transport Scanner. 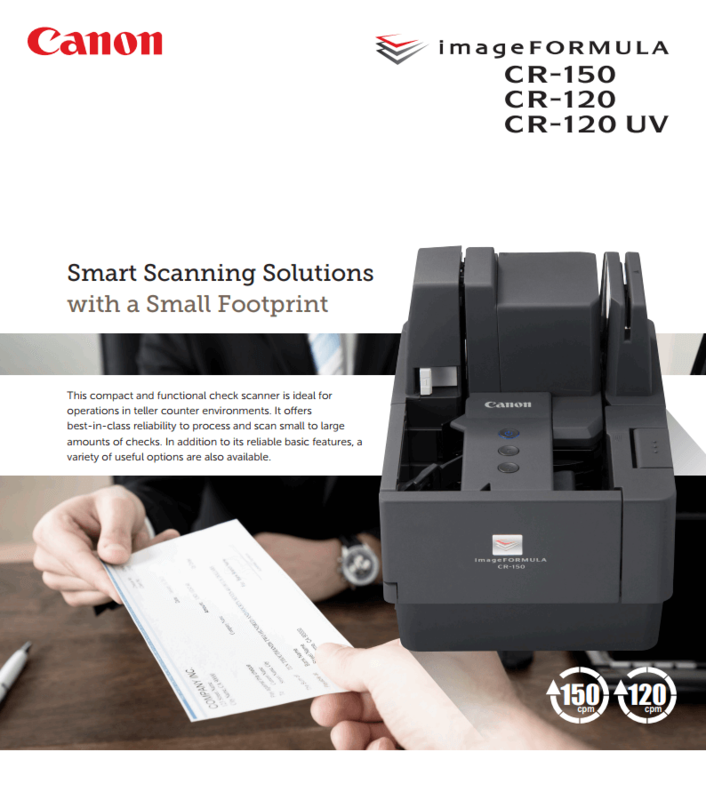 The Canon Scanning Utility enables users to scan, view, print and file check data output from Canon check scanners. Is this the scanner for you? Give us a call or use our contact form below. We’d love to help you out!